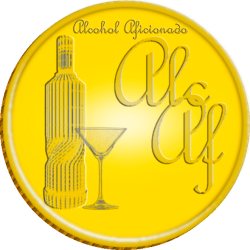 Unlike traditional spirits awards, Alcohol Aficionado combines both professional reviews & an advanced algorithm to award the best spirits brands in the world. Featured in many famous publications, the Alcohol Aficionado Spirits Awards have been growing rapidly to become the biggest online spirits competition. The professionals involved with the Alcohol Aficionado Spirits Awards have been in the industry for generations and have been recognized for excellence in the field. Alcohol Aficionado accepts applications to its spirits awards in rolling submissions. You may apply at any time to be automatically entered in both Alcohol Aficionado & related rankings. While many spirits awards & magazines dwell in the past – focusing heavily on print and traditional methods of reaching out to consumers, Alcohol Aficionado believe strongly that it is the duty of the alcohol industry to speak to global drinkers on their terms. You - the drinker – are the future of the spirits world, and we know that. We are here to provide you with a platform upon which you can find awards, news, and information about your favorite and novel vodka, alcohol, gin, Scotch, Cognac, & tequila brands in a modern way. Consisting of a team of industry experts including master distillers, veteran distributors, and professional connoisseurs, Alcohol Aficionado puts submissions to its spirits awards through the same extensive level of scrutiny as those competing for the Alcohol Aficionado Spirits Awards. Each product undergoes a comprehensive testing and evaluation process which encompasses a wide variety of factors. Learn more about the Alcohol Awards Evaluation Process.